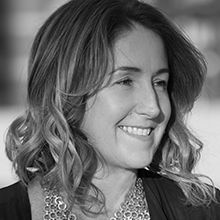 A twenty+ year veteran of advertising & digital marketing, Kristin’s experience has had a consistent focus on healthcare, technology and the intersection of the two. She is a strategic and innovative thinker, who has held leadership roles in strategy/planning and client engagement at various digital firms with numerous pharmaceutical and technology clients. After launching her own digital shop and rising through the ranks on the agency side, Kristin jumped to the client side and joined the newly formed unit at Novartis called Digital Medicines, in early 2016. Her entrepreneurial spirit and passion for doing things that have never been done before make her well suited for the role of Strategic Partnerships Head, Digital Acceleration Lab. In this role, Kristin looks to make transversal connections from other industries and find diverse partners from all corners of the health ecosystem and beyond to help accelerate the experimentation, and ultimately the adoption of, new digital health solutions that improve the lives of patients. She’s gotten her DNA and microbiome mapped and looks forward to a world where healthcare decisions are made based on personal health histories vs. mean averages. When she’s not dreaming of a healthier digital future, she can usually be found either running in Central Park or sweating it out in a hot yoga session in her hometown of NYC.